1. Cottage-Style Fruit: Top ½ cup cottage cheese with ½ cup of your favourite fruit. Why not try some super foods?Bananas, mixed berries, and melon are some favourites! 2. Beef or Turkey Jerky: Be careful to avoid sodium- and sugar-filled brands, but low-sodium, natural, or lightly-flavoured options are a great super foods. And this chewy snack is super-portable and keeps fresh for months when packed properly. 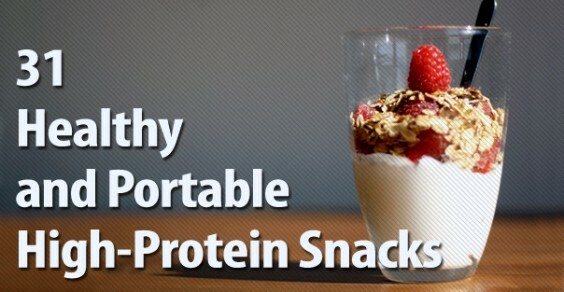 A one-ounce serving (the size of most single-serve packs) contains about 9 grams of protein! 3. Mixed Nuts or Trail Mix: This is a favourite for the office. Mixed nuts are an easy way to get a delicious dose of protein in a convenient, shelf-stable package. Try a mixed bunch for variety and a combo with dried fruit for some added sweetness. The best bang for your protein buck? Almonds and Pistachio are high up there in protein while comparably lower in saturated fat than their nutty peers. 4. Pumpkin Seeds: Those orange pumpkins are not just for Halloween. The pumpkin insides, scooped out to make room for spooky faces, can actually make a healthy little snack once they’re washed, dried, and nicely roasted! Just ½ cup of pumpkin seeds has about 14 grams of protein — the perfect pre-workout! 6. Deli Roll up: Top 2 slices of low-sodium deli meat (turkey, chicken, or roast beef work great!) with 1 slice of low fat cheese and a shake of pepper. Add a slice of tomato or some lettuce for extra veggie points! 8. Mini Bean-and-Cheese Quesadilla: It might take an extra minute to prep, but combining these two high-protein treats is worth it! Fold ½ cup black beans, 1 tablespoon salsa, and 1 slice cheddar cheese in a small soft tortilla. Cook in a dry non-stick pan until cheese is melted and tortilla is lightly browned. Wrap in foil and stick in a plastic bag for easy transport. 9. 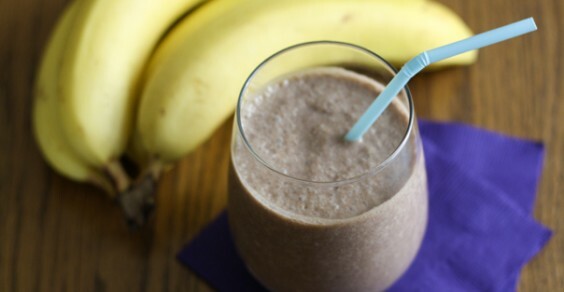 Shake It Up: The combinations are endless with protein shakes. And one scoop can go a long way! Our favourites? The “Protein Creamsicle” — 1 scoop vanilla whey protein powder, 1 cup orange juice, and 1 cup ice blended until smooth — (thanks JCDFitness! ), and the “Star-buffs Shake” — 1 cup iced coffee (with ice) and 1 scoop chocolate whey protein, blended — a caffeine-filled creation from Greatist’s fitness editor, Jordan Shakeshaft. 12. Tofu Sticks: This soy-bean-based protein bomb isn’t just for stir-fry and Asian take-out menus! When sliced into sticks, firm (and smoked!) tofu can make a great snack food, especially if it’s served with a side of home-made tomato or teriyaki dipping sauce — just don’t overdo it! 15. Hummus Dippers: How’s this for an unconventional use of a travel coffee mug: Put 2 tablespoons of a favourite hummus in the bottom of the container. Stick a handful of vegetable sticks (carrots, celery, and snow peas are a great mix!) 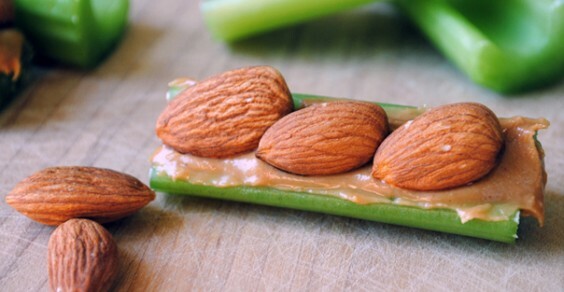 vertically in the hummus, screw on the top, and throw in a purse or gym bag for an easy, on-the-go, super-healthy snack. 16. Milk Smoothie: Cow’s milk does have nutritional benefits (calcium and vitamin A, to name a few). Try blending 1 cup of your favourite flavour of soy milk (vanilla and chocolate are favourites) with 1 cup of frozen blueberries or raspberries (for added fibre and antioxidants). 17. Portable Cheese Platter: Everyone wants to feel classy every once in a while, right? Make yourself a mini cheese plate with 2 slices of cheese, two whole-grain crackers, and a few roasted almonds. 18. Banana Nutter: Few pairings are more comforting than a classic peanut butter and banana combo. Top a rice cake (brown rice for extra fibre points!) with 2 tablespoons of your favourite nut butter and half a banana, sliced. Sprinkle with cinnamon for some extra healthy benefits! 19. 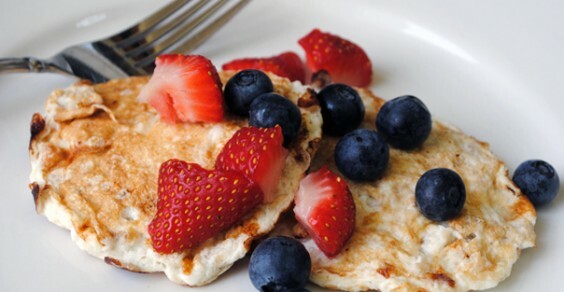 Silver Dollar Protein Pancakes: thanks contributor Laura Skladzinski for this killer recipe. Mix 4 egg whites, ½ cup of rolled oats, ½ cup of low-fat cottage cheese, ⅛ teaspoon of baking powder, and ½ teaspoon of pure vanilla extract. Cook on a preheated griddle (medium low heat) until mixtures bubbles, flip and cook for another 60 seconds. Top with fresh berries or sliced banana. 20. Chocolate Milk: No, we’re not going back to preschool. Low-fat chocolate milk is actually a great source of high-quality protein (especially post workout)! Try keeping a single-serving, shelf-stable box in your gym bag (or purse) for snack attack emergencies — just try to find one that’s also low in sugar! 21. “Get Greek” Berry Parfait: Just imagine sitting on a Greek isle with this snack in hand. Top ½ cup plain Greek yoghurt with ½ cup fresh berries and 1 tablespoon sliced roasted almonds. 22. Grape-and-Cheese Sticks: This is my childhood favourite! Dice a half-inch thick slice of cheddar cheese into squares (you should end up with about 6 small pieces, equalling about 1 ounce) and rinse 6 grapes. On 6 toothpicks, stack the grape and cheese, and enjoy! Just 1 ounce of strong cheddar offers 8 grams of protein, and the contrast with sweet grapes is super sophisticated (and delicious). 24. A Little Lentil: We know what you’re thinking: “Lentils? As a snack? !” Yes! Don’t worry, we’re not talking about a bowl of the bland ol’ green things. Lentils are great protein-packed legumes that are easy to turn into super, shelf-stable salads. One cup has a whopping 22 grams of protein in just 300 calories! Not sure where to start? 25. 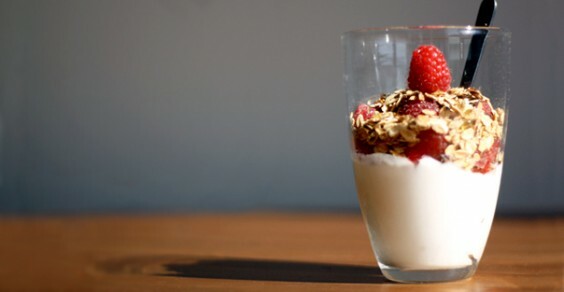 Perfect Little Parfait: Top ½ cup non=fat Greek Yoghurt with a handful of fruit (fresh or frozen) and a drizzle of honey. Add 2 tablespoons of toasted oats for a protein-packed crunch! 27. Gobble, Gobble: Re-visit Thanksgiving with this festive favourite. Slice one piece of whole-grain bread in half, lengthwise, and top with 2 slices of roasted turkey, 1 slice of Swiss cheese, 1 lettuce leaf, 1 slice of tomato, 1 teaspoon of mustard, and 1 teaspoon of dried cranberries. This comforting combination packs about 14 grams protein! 28. Protein Bar: This one might sound obvious, but hear us out: It’s all about finding the right bar. That means one that’s not weighed down with not-so-good extras like sugar, fat, and calories (some options can even be as bad as snack bars!). Do some research to figure which type is right for you: There are high-protein and low-carb bars; meal replacement and energy bars! 30. 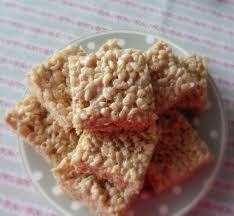 Recovery Rice Crispies: News Flash: Protein powder isn’t just for shakes! Try these super-sweet protein-packed treats — Recovery Rice Crispies — from trainer Rog Law. Mix 2 scoops chocolate or vanilla protein powder into a mix for a 9” tin. This entry was posted in Healthy Eating, Recipe Ideas. Bookmark the permalink.